An astonishing new firsthand account of D-Day. Seventy-five years ago, he hit Omaha Beach with the first wave. 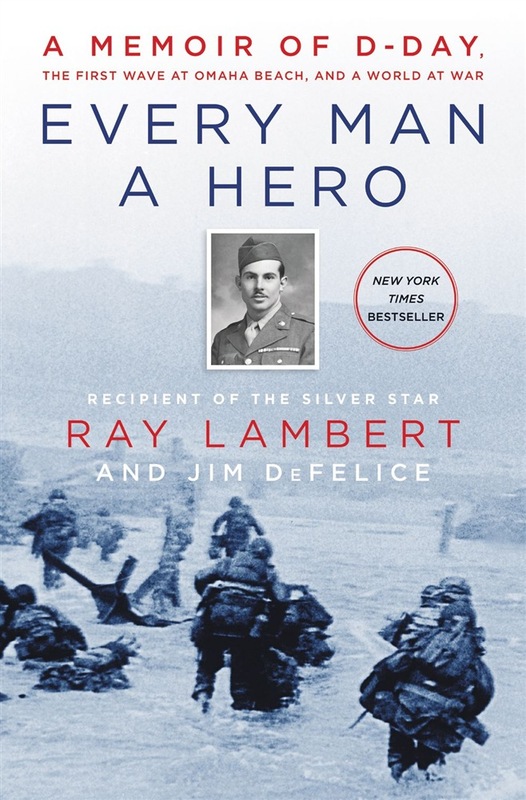 Now Ray Lambert, ninety-eight years old, delivers one of the most remarkable memoirs of our time, a tour-de-force of remembrance evoking his role as a decorated World War II medic who risked his life to save the heroes of D-Day. At five a.m. on June 6, 1944, U.S. Army Staff Sergeant Ray Lambert worked his way through a throng of nervous soldiers to a wind-swept deck on a troopship off the coast of Normandy, France. A familiar voice cut through the wind and rumble of the ship’s engines. “Ray!” called his brother, Bill. Ray, head of a medical team for the First Division’s famed 16th Infantry Regiment, had already won a silver star in 1943 for running through German lines to rescue trapped men, one of countless rescues he’d made in North Africa and Sicily. “This is going to be the worst yet,” Ray told his brother, who served alongside him throughout the war. “If I don’t make it,” said Bill, “take care of my family.” “I will,” said Ray. He thought about his wife and son–a boy he had yet to see. “Same for me.” The words were barely out of Ray’s mouth when a shout came from below. To the landing craft! The brothers parted. Their destinies lay ten miles away, on the bloodiest shore of Normandy, a plot of Omaha Beach ironically code named “Easy Red.” Less than five hours later, after saving dozens of lives and being wounded at least three separate times, Ray would lose consciousness in the shallow water of the beach under heavy fire. He would wake on the deck of a landing ship to find his battered brother clinging to life next to him. Every Man a Hero is the unforgettable story not only of what happened in the incredible and desperate hours on Omaha Beach, but of the bravery and courage that preceded them, throughout the Second World War—from the sands of Africa, through the treacherous mountain passes of Sicily, and beyond to the greatest military victory the world has ever known. 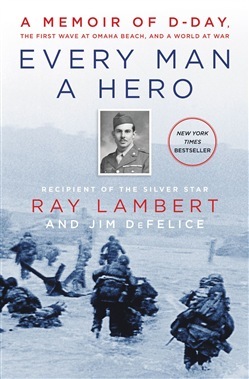 Acquista Every Man a Hero in Epub: dopo aver letto l’ebook Every Man a Hero di Jim De Felice, Ray Lambert ti invitiamo a lasciarci una Recensione qui sotto: sarà utile agli utenti che non abbiano ancora letto questo libro e che vogliano avere delle opinioni altrui. L’opinione su di un libro è molto soggettiva e per questo leggere eventuali recensioni negative non ci dovrà frenare dall’acquisto, anzi dovrà spingerci ad acquistare il libro in fretta per poter dire la nostra ed eventualmente smentire quanto commentato da altri, contribuendo ad arricchire più possibile i commenti e dare sempre più spunti di confronto al pubblico online.